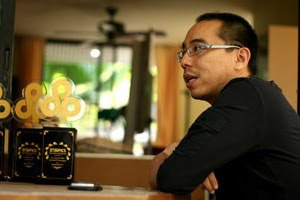 Apichatpong Weerasethakul's Cannes Palme d'Or winner Uncle Boonmee Who Can Recall His Past Lives has picked up three more prizes in the Starpics Awards. The indie arthouse drama, produced in part by Apichatpong's Kick the Machine production house, won Best Film, Best Director and Best Screenplay. The top nominee for the Starpics magazine honors was director ML Bhandevanop Devakul's Chua Fah Din Salai (Eternity), with 12 nods across the 11 categories. The lavish period romance, produced by Sahamongkol Film International, earlier swept the Kom Chad Luek Awards and is the top nominee for the Bangkok Critics Assembly Awards but for the Starpics it only won for the score composed by Chamras Saewataporn and art direction by Siranat Ratchusanti. Two other indie Thai films also won awards – Best Cinematography for Uruphong Rakasad's Agrarian Utopia (Sawan Baan Na) and Best Editing for Lee Chatametikool on Anocha Suwichakornpong's Mundane History (Jao Nok Krajok). Best actor went to comedian Choosak "Nong Chachacha" Iamsuk, for his portrayal of a hitman with erectile dysfunction in director Yuthlert Sippapak's action comedy Saturday Killer (Meu Puen Dao Pra Sao). Best actress went to newcomer leading lady Neungtida Sophon for the GTH romantic comedy Guan Muen Ho (Hello Stranger). Director Phawat Panangkasiri's Buddhist-themed crime thriller Shadow of the Naga (Nak Prok) swept the supporting actor and actress categories. Veteran actor Sa-ad Piampongsan won for his portrayal of a wise tattoo-dispensing monk and Sai Inthira played the prostitute girlfriend of one of the thieves who hid loot in a temple. The popular movie award went to last year's two top box-office blockbusters, the romances Guan Muen Ho and Sahamongkol's teen romance Sing Lek Lek Thee Riak Wa … Ruk (First Love). There's more photos and commentary about the Starpics Awards at Deknang's Popcornmag forum.